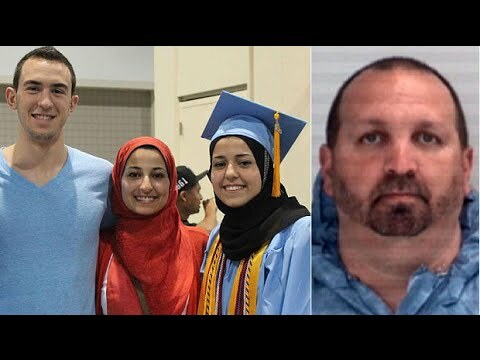 If American mass media seemed reluctant to cover the murder of three Muslims students at the University of North Carolina Chapel Hill as a hate crime, the same was not true in the Middle East, where strong opinions were aroused. Turkish president Tayyip Erdogan criticized President Barack Obama and Vice President Joe Biden for not speaking out on the issue (which is under investigation by local police and the FBI). Erdogan’s Justice and Development Party leans to the religious Right and Erdogan has a special interest in Islamophobia in the West, i.e. discrimination against Muslims in Europe and North America. In Egypt, the foremost center of Sunni learning and religious authority, al-Azhar Seminary, issued a strong condemnation of what it called an “Islamophobic act” by a “terrorist” in the US. Al-Azhar said it was “extremely disgusted that anyone would undertake such a cowardly act, which “demonstrates that terrorism has no religion or nation.” It called for swift justice against the perpetrator. Al-Azhar called upon the US authorities to deal quickly with the perpetrators. It said it was worried about the increasing targeting of Muslims in the West. Egypt’s office of Islamic jurisprudence (Dar al-Ifta’) warned that the number of Western Muslims who said they had suffered from being victimized for being Muslim had doubled. Palestinians in Gaza demonstrated against the murders, decrying what they called the “double standards” of the West. Jordan’s Foreign Ministry said that two of the victims were Jordanians and it condemned what it called a media blackout in the US over the incident. In general, Middle Easterners are outraged and blame Islamophobia, and call the murders a ‘crime against humanity.” They worry that a hostile environment is growing up in the US against American Muslims.